Deep down we all have a strong desire to feel a part of, rather than apart from. Humans are, by design, social animals. We require others to not only get by in life, but to better understand ourselves and how we fit into the grand design of life. It is somewhat of a paradox that many begin using drugs and alcohol to feel a sense of togetherness with our fellow peers, yet the very substances that give people the sense of oneness with our fellow man are the same things that end up completely isolating you from the rest of society. While drugs and alcohol separate you from others, they do in many cases leave you with one relationship—rather than another being, it is a relationship with the disease of addiction. The road to addiction often begins with feeling disconnected with others. Since most people are introduced to mind altering substances by another person, it can be easy to begin equating the use of drugs or alcohol with feeling like you belong to something greater than yourself. It is a misconception that does not lead to a healthy relationship with other beings, but rather an unhealthy relationship with substance use. Sure, there is a time at the beginning of the slippery slope towards addiction when using drugs and alcohol makes one feel like you have found what was missing all along. Unfortunately, the very things that ends up filling the hole deep inside are, in fact, trying to kill you. It is a realization that one usually only comes to with hindsight. Those who come through to the other side of addiction into active recovery, often become acutely aware of how toxic the desire to fit can be, a desire that leads to inviting the wolfs of substance abuse in the front door. What’s more, those same people often realize that they didn’t desire to feel OK with their peers, as much as they desired to be comfortable with themselves. Learning how to be comfortable in one’s own skin is one of the main pillars of addiction recovery. Just to give you an idea of how much relationships with others can impact one’s own life, a new study suggests that social rejection can lead to increased substance use, the Research Society on Alcoholism reports. 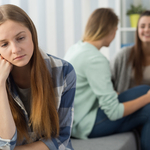 The organization points out that earlier research indicates that rejection by one’s peers was found to be associated with increases in negative emotions, distress, and hostility. The new study, Social Rejection and Alcohol Use in Daily Life, sought to determine the role that social rejection played in alcohol use. The findings were published in the journal Alcoholism: Clinical and Experimental Research. The researchers found that rejection from friends, spouses or family members leads to significant increases in alcohol use, according to the report. However, the correlation was not found when people experienced rejection from acquaintances or strangers. If you have ever been to a meeting of recovery, such as a 12-Step program, you probably noticed from the "get go" how friendly and welcoming everyone was to you. There is a good chance that more than one person came up to you hoping to have a chat, or they invited you to have coffee with some of the group attendees. Simply put, those with some recovery time under their belt understand the value of inclusion when it comes to long-term sobriety. Addiction is the embodiment of feeling rejected by the world forced to live in the mire of solitude, whereas recovery is the epitome of communal togetherness. A fraternal community of like-minded people making a commitment every day to be a-part of something bigger than themselves. For those who are new to recovery, the importance of accepting the unsolicited invitations for friendship by those in the program cannot be overemphasized. You may find yourself suspicious, but we assure you that their efforts to include you into the recovery community are not only genuine, they are a necessary part of living a spiritual life free from drug and alcohol.